The famous graffito blasfemo, as it is known, was carved into plaster on a wall in the Palatine Hill in Rome. It can be seen in the Palatine Antiquarian Museum. 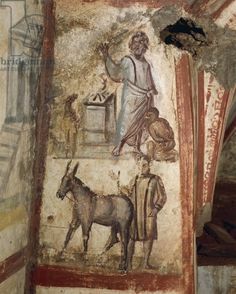 A 4th century fresco in the catacombs in the Via Latini depicts the Sacrifice of Isaac (46 x 90 cm) and the donkey is drawn with exceptional realism. 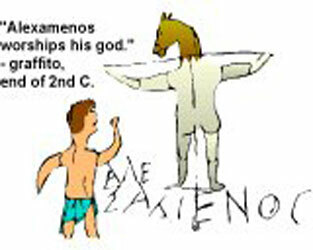 The presence of the donkey in Christian art would continue and develop very gradually over the following centuries. Then in the 13th century with the flowering of Italian painting in connection with the Franciscan tradition the donkey would be centre stage in many set piece New Testament themes. The story will be gradually explored here and added to the Culture and History pages of this blog. Oops, sorry, didn’t know it would post the whole page. Please delete previous comment if you need to. Yes, I have tidied this up a bit, as it may take up a lot of space. 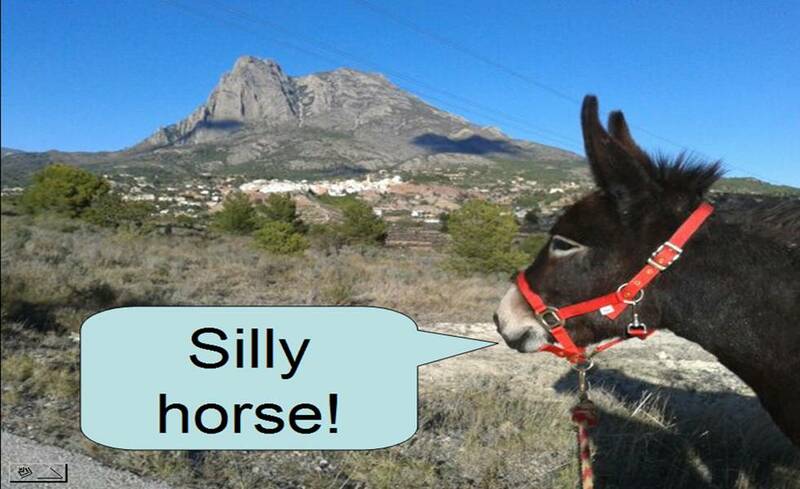 I couldn’t see a donkey in all those images! I think the whole subject of marginal animal characters in manuscripts is certainly great fun, but I’m specifically exploring the donkey in art in this blog. Thanks anyway.